Decorating with reds hearts texture is very important if you want to have an fancy luxury design for Valentine’s day. So in order to impress you can chose lots of accessories like red pillows in shape of hearts by different size that can be hanged on the door, on the bed, etc. just let your imagination to create for you the perfect interior design. As you can know red is the color that work for this occasion so I think customize and mix all the red patterns would be a very interesting creative touch interior design. Also you can arrange rose petals to form a thick heart shape on the table or your bed and you can fill little heart-shaped bowls with rose potpourri and place all over the house. I thik this would be a romantic heart to heart interior design. 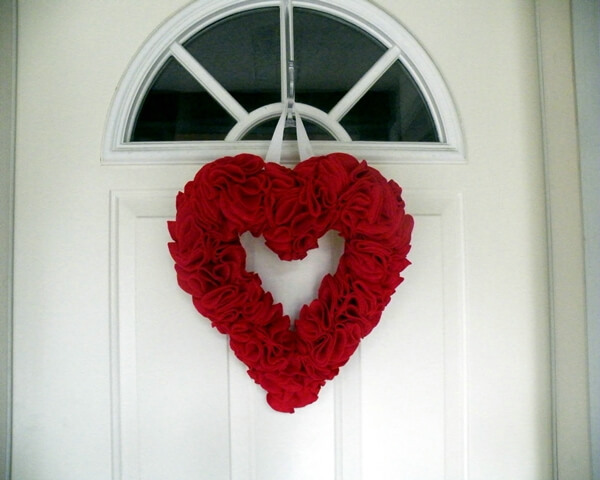 Now you are decide what is your favorite Valentine’s Day Decoration?